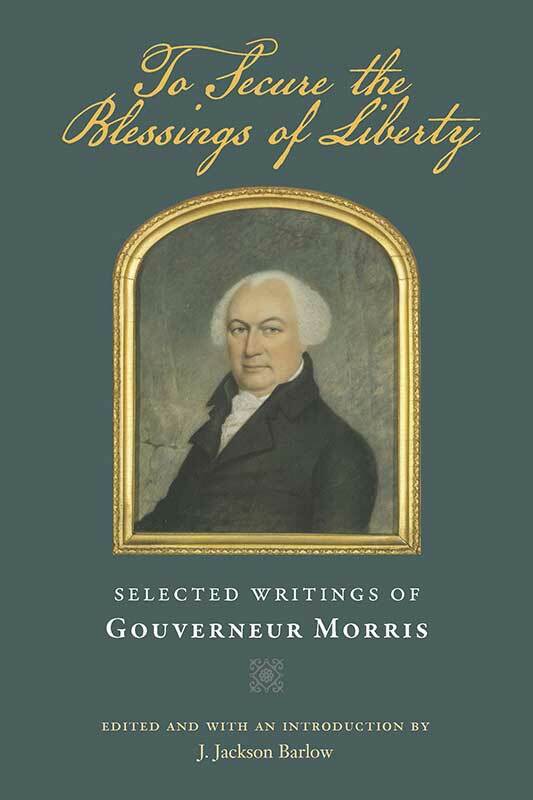 Liberty Fund is pleased to present this single-volume collection of Gouverneur Morris’s writings. This edition will be a welcome addition to scholars of American and French history as the volume contains many writings that have never before been published. Morris served as Deputy Superintendent of Finance during the American Revolution, in which capacity he devised the system of decimal coinage. He was a prominent member of the Constitutional Convention, where he spoke more frequently than any other member and, as a member of the Committee on Style and Arrangement, put the Constitution in its present form and authored its Preamble. As a private citizen in Paris, and later Minister to France (1789–94), Morris was a firsthand witness of the French Revolution. On his return to the U.S., he served as a U.S. Senator, was a prime mover in the creation of the Erie Canal, and took a leading role as a critic of the Jefferson and Madison administrations. Providing his unique perspective, this is a wonderful and accessible single source that illuminates the political and economic thought of Gouverneur Morris. Gouverneur Morris (1752–1816) was a prominent member of the Constitutional Convention, a signer of the U.S. Constitution and author of its Preamble, and U.S. Minister to France during the French Revolution. J. Jackson Barlow is the Charles A. Dana Professor of Politics and the Director, Program in Philosophy, Politics, and Economics at Juniata College, in Huntington, Pennsylvania. Introduction, selected bibliography, headnotes for each chapter, index.